It’s no secret that goals of protecting large amounts of land and creating a vibrant economy can be at odds with each other. Man has always used the land and natural resources to drive commerce. Unfortunately balancing environmental protection and economics is often easier said than done. Over the last few years, I’ve been working with a few of my favorite mountain businesses on search marketing and web development. My most recent project is helping Garnet Hill Lodge with a new responsive website design. Last weekend, in addition to getting some of our projects done at the cabin, I visited the Lodge to connect with owners Don and Mindy to review our progress. As I sat out on the Lodge’s famous front lawn looking out at the spectacular view, it occurred to me that the Lodge itself and the residential development that surrounds it represent an ingenious way to make use of wilderness to create commerce without dramatically impacting the ecology of that protected land. The Lodge’s view and close proximity to state land are significant attractions that draw skiers and hikers to the resort and have become brand icons for the business. The relationship between this private business and a great natural resource seem like an ideal way to create commerce and while preserving wilderness for the future. But the Lodge is a unique example that may be hard to replicate. I tried to think about other examples of business that “exploit” the wilderness will leaving it largely untouched. I like the Hudson River rafting industry. Eleven different companies employ several dozen north country men and women from March through October. 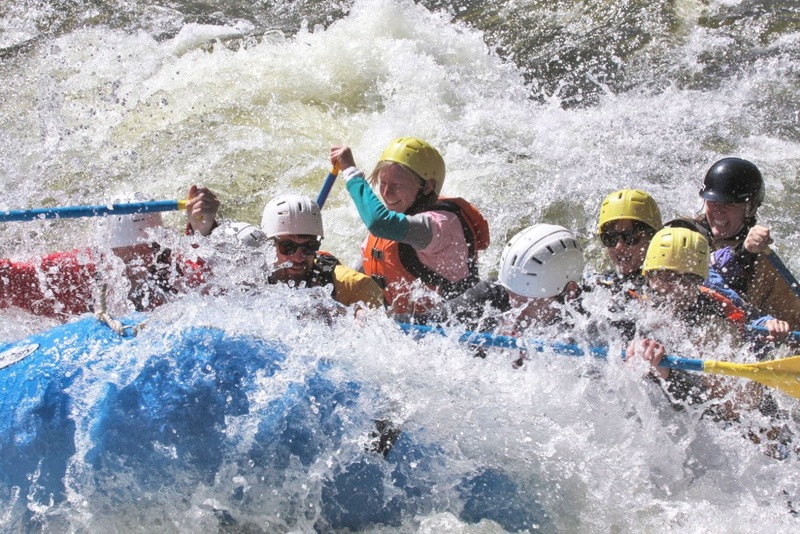 Rafting outfitters offer an exciting experience that capitalizes on the wilderness, also without much impact. 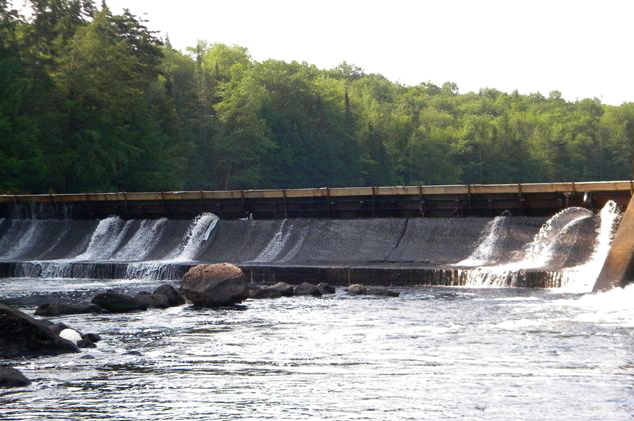 While the dam release does quickly raise and lower the levels of the Indian and Hudson Rivers, research suggests that the impact on fish and invertebrate communities is not significant. I understand that it’s not realistic to build the entire mountain economy on businesses like these, but they capture my imagination and engage my natural predilection for idealism. What are other examples of this kind of symbiosis between preservation and job creation? Post a comment below. Mountain Biking. Yes the paths/ruts do affect the mountain at issue, but as a % of terrain on that mountain/range it is nothing. Ice climbing parks–as I posted, a great idea and the impact melts away. Rope and zip line courses. Paths to get canoes to wilderness lakes–wide enough for a hand pulled trolley. Build a few cabins–no electric, phone or other…on wilderness lakes….instead of watching $ go to Canada or North Michigan/Wisconsin etc. All of these get people in the park. People in the park, responsibly, will attract even more support for the park, and money, money that can be spent to buy and preserve (with minor exceptions) even more land. Like the kid with the new ball that won’t let his friends play with it. No one wins, especially the kid. The Earth and nature is living, growing and healing. Minor intrusion on less than 1% won’t harm, and if it does, (through study) it would heal in less than a few years. Licenses and permits ensures good, responsible access by responsible people. 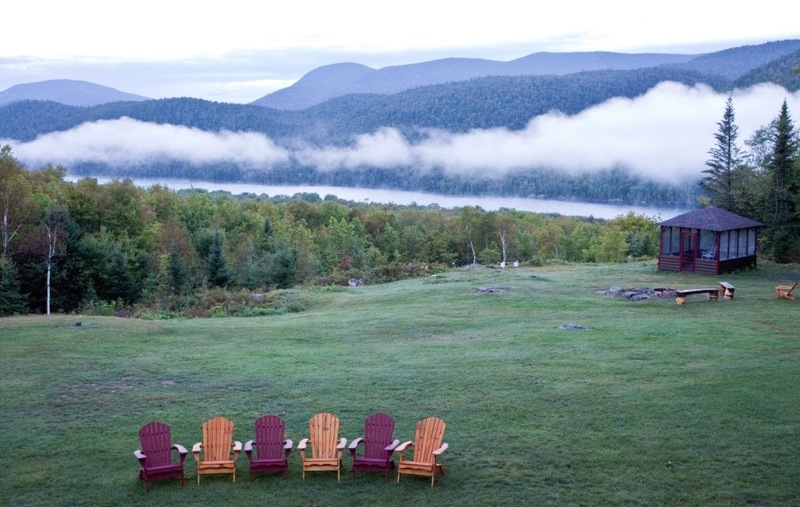 More, easy access to mountain tops and lakes–the asset of ADK park. WhiteFace is a great draw—. Sadly, the State is collecting all the cash. Recent trip up cost my car load of 9 (7 kids) $68 dollars. Sadly, won’t be back because of that for a while. Easy access that outfitters can help the public obtain. The crew I was with is quite fit and athletic, but forged in a TV economy. If it is not a commercial venture, they are not venturing into the wilderness unknown. The world/people are changing, we need to change too. God forbid, 4 people refused to drink my well water. Its not city water…LOL. I say this to emphasize that the joy and stature of the park will be lost in a few generations. 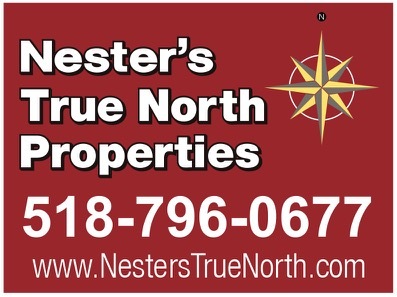 1% of people will venture out of their homes and away from commercial attractions. Not saying I am for that, it is just what I believe/see.